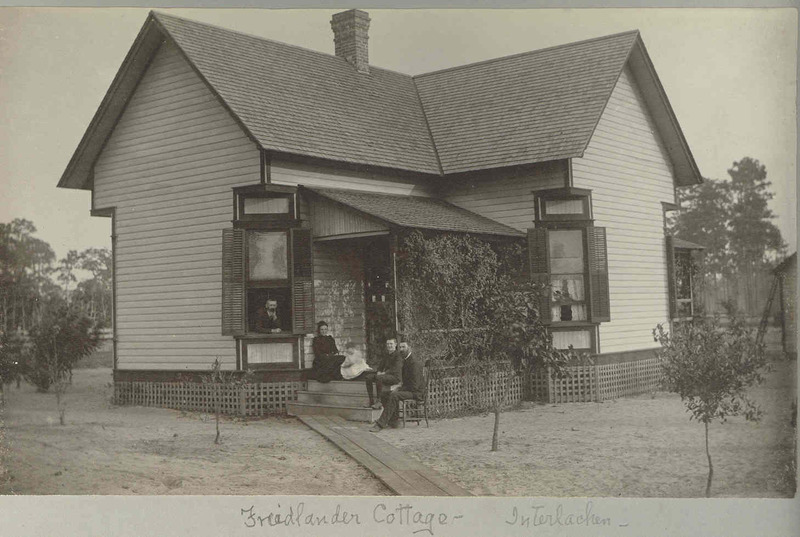 Comments: Friedlander (Nee: ) | Interlachen FL United States | 1851-1900 | Comments: House has corner windows at angles. 3 people are sitting on the front porch. Young trees in yard with boardwalk leading up to house.